We are a small local roofing business. We take great pride in providing quality workmanship, exceptional customer service and impeccable attention to detail. 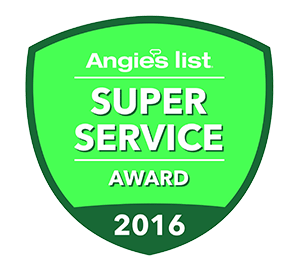 We are seasoned, licensed professionals, backed by glowing reviews and an A+ BBB rating. We are ANDRES ROOFING COMPANY! Andres Roofing does not just do full roof replacements. We also do small, medium, and large repairs! You may have plenty of life left in your shingles and only need to do a small repair. We repair leaks and are experts at finding the source of the leak. With our extreme weather in the St. Louis and an extensive amounts of time investigating and repairing roofs we have become experts in knowing how water can find it’s way through your roof. We will present you with an economical repair option instead of a full replacement that could cost you thousands. Common repairs include plumbing vent pipe flashings (either squirrel chewed leads or rotten rubber collars), nail pops, chimney flashing, step flashing, counter flashing, corroding sealant at flashings, critter damage, wind damage, and tree damage. We understand the importance of responding quickly to prevent minor roof damage from becoming major interior damage. We respond quickly to every call, email or form sent to Andres Roofing, with over 40 years of serving St. Louis, we know how important customer service is to our customers. See Andres Roofing Company doing what we do best.....ROOFING! Andres Roofing Company can help with your next roofing repair or replacement. First time using Andres roofing and I was delighted!Quick personal service with integrity! I will use them again!! Andres Roofing provided excellent service at a very reasonable price. They also got the job done quickly. We are very pleased and would recommend them! Andres Roofing is as honest and quality roofer as you'll find anywhere. John quickly diagnosed and fixed my leaks before the next rainfall. I highly recommend them! Andre’s Roofing was responsive, professional, and very reasonably priced! I will be referring their services to anyone needing roofing work in the future. Love my new roof! Andres roofing was so professional from beginning to end. Please consider them for your roofing needs. Andres Roofing provides professional, timely service. No one plans on the roof leaking but when that day arrives it's imperative that it be repaired pronto. The folks at Andres have helped us when we needed it most! Hired this company to replace my roof. Highly impressed with the quality of work, communication, and price. These guys are the best! My family is so happy with our new roof. Even our 7 year old son said "this really does make the house look better"! Andres roofing is a well oiled machine made up of a hard working, honest crew. It's nice knowing that the Andres family is from the area and will be a local staple for years to come. Andres Roofing did an amazing job on new roofs for our house 10 years ago, our garage 5 years ago, and our shed this year! They were fast, honest, professional, great to work with, and we LOVE our roofs!!! I love supporting a family owned, local business that treats their workers well, and at a fair price too. Highly recommend to everyone I know, whether they need a new roof or a roof repair. We have used them three times over the last 10 years... everything has always gone exactly as expected... it's just so comforting to know that something as important as your roof is done well.